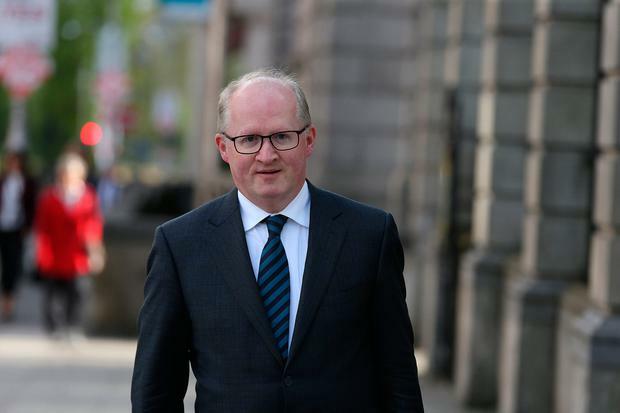 Central Bank of Ireland Governor Philip Lane has been put forward for the post of Chief Economist at the European Central Bank, a post for which he has already emerged as the front-runner. Ireland is at present the only founding member of the euro bloc never to have had a central banker on the ECB’s executive board and the post comes vacant when incumbent Peter Praet steps down on May 31 at the end of his term. Dr Lane is seen as a close ally of ECB President Mario Draghi, who steps down later this year. “I am delighted to nominate Governor Lane to the Executive Board of the ECB. Philip is well recognised as a person of calibre and is held in high esteem across Europe,” Minister of Finance Paschal Donohoe said in a statement. At a meeting of Eurozone Finance Minister, the Eurogroup President Jean Claude Juncker initiated the appointment process for the post with a call for candidates. Ireland is believed to have bolstered its case for Dr Lane when he pulled out of the running for a job as ECB vice president and the Chief Economist post is seen as the second most powerful role in the bank as the holder sets the economic framework for the institution. The ECB’s forecasting record has come under fire recently with critics saying He shows that it has persistently overestimated inflation and unemployment. If he gets the post, Dr Lane will play an outsized role in helping decide whether the ECB will move ahead with an interest rate rise this year in a bid to escape zero rates. With latest Eurozone economic data showing slower than expected growth, many private sector economists have pushed their forecast for a rate rise into 2020.